I got a whole week of holiday last week so I went to a trip to Kyoto. I had been to Kyoto many times before, so this time I decided to visit the places where I had never been. Since my boyfriend wanted to see some “stone gardens”, we visited Ryoanji. 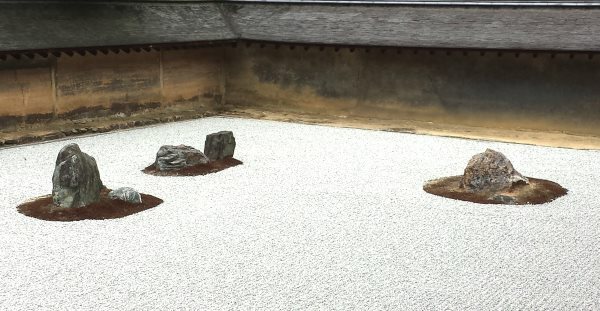 I had only seen it in a textbook before, but when we saw the real garden, stones were equally arranged and they were forming some pattern. It was really beautiful. Just next to Ryoanji was Kinkakuji. My boyfriend and I had already seen it before, but as we happened to be in the neighborhood, we decided to stop by. This was not part of the objectives of this trip, but both of us didn’t really mind. As expected Kinkakuji is so magnificent every time I look at it. Since it was Friday evening and the place was not crowded at all, we could take our time to observe it. 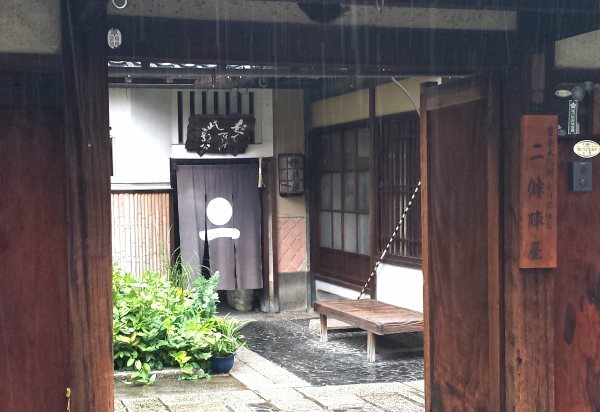 And then, we headed for Toei Uzumasa Eigamura. I visited this place when I was a junior high school student, but my boyfriend wanted to see the Ninja show there, so I visited again for the first time in a while. In Eigamura, streets with stores and houses from the Edo period were reproduced and you could enjoy the old atmosphere by just standing there. 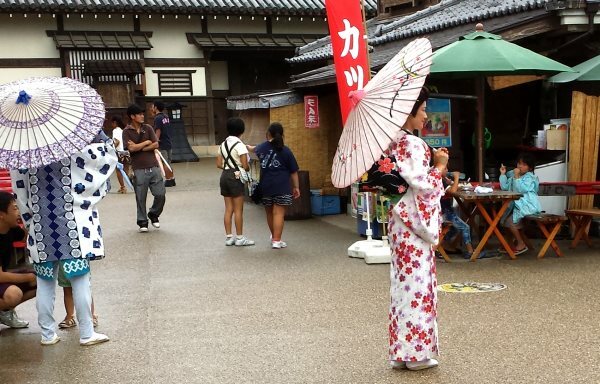 In addition, you could find many persons of the staff wearing Kimono or old costumes here and there, they were a real delight for the tourists’ eyes. The Ninja show that my boyfriend particularly wanted to see was quite interesting. It was a classic play of 30 minutes where a ninja defeats his enemies, the name was “Jiraiya”. The actors sword play and moves were impressive. Besides, we wore some costume of the Edo period, we took a souvenir picture in the “Funso Shashinkan” and we visited the “Ukiyoe museum”. We could enjoy a lot there. Also, we went to Nijo Jinya which was near the Nijo castle as my boyfriend who was into Ninja stuff insisted to go there. This Nijo Jinya is the place where the Daimyo were staying during the Edo period when they had something to do in Kyoto. There were various tricks throughout this building to protect Daimyo’s lives from their enemies. 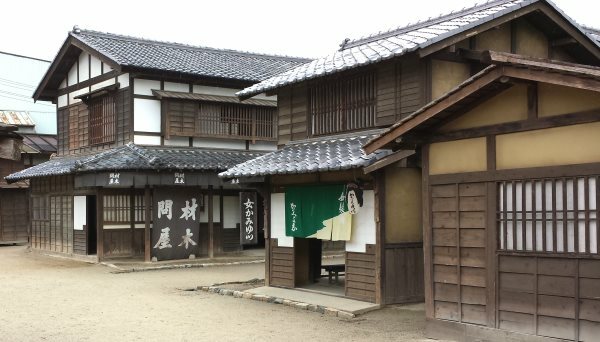 The tricks like hidden escape stairs and secret rooms, holes in the ceiling to watch on Daimyo’s guest’s movements and double corridors etc were wonderful. Unfortunately, we couldn’t take any pictures as cameras were forbidden. We could only record with your eyes. Also, you have to make a reservation in advance and the guide explains only in Japanese. There were some words which were difficult to understand even though I am Japanese because the guide was using many old words in his explanation. Therefore I recommend that you study a bit about Nijo Jinya before you visit it. The place we visited in the end was Ginkakuji. 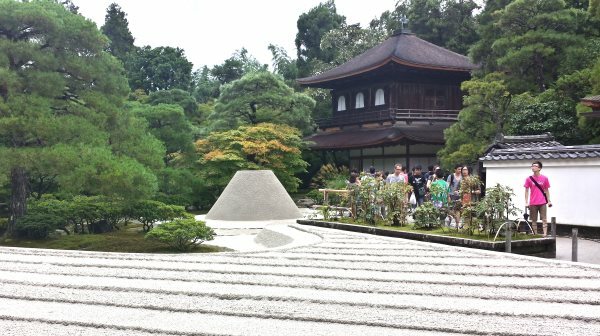 We had been to Kinkakuji many times but this was the first time for us to visit Ginkakuji. The day we visited Ginkakuji was quite hot, so we were very tired just going up the slope leading to the temple. Ginkakuji was Shoin style and the most impressive thing for me was the beautiful garden and pine-trees rather than the temple. 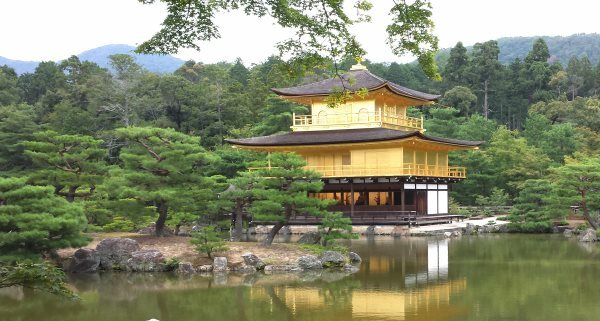 The structure itself was very beautiful in Kinkakuji, but the well balanced scenery including the temple, gardens and trees was wonderful in Ginkakuji. That was Kyoto for the first time in a while. It was not crowded nor messy compared to Tokyo and the buildings were beautiful. It was quite a relaxing trip for us.